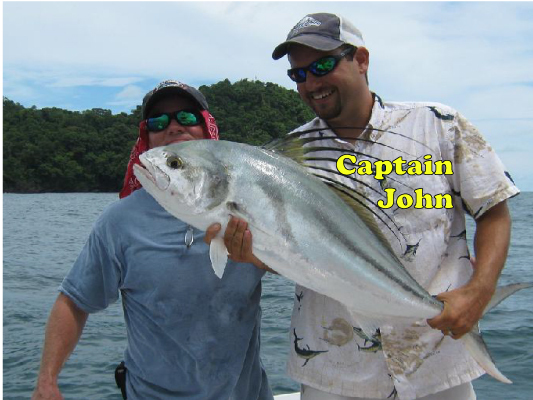 John Schucert is the owner of the very successful Quepos Fish Adventure. 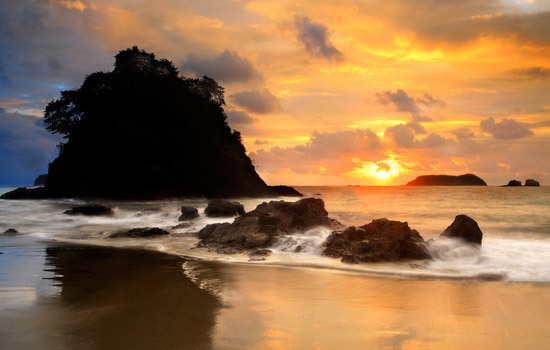 A native of the USA, John moved the whole family to Quepos, Costa Rica in 2007 after falling in love with the place on a family holiday. 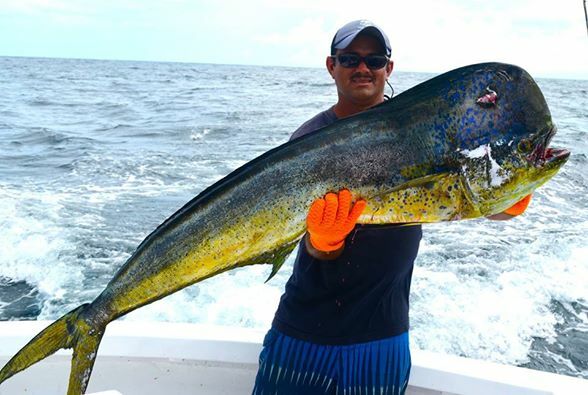 John now enjoys some of the best fishing in world with sailfish, marlin, dorado, tuna, wahoo and more offshore, and roosterfish and crevalle inshore. IFD: Where did you grow up and how did you begin fishing? 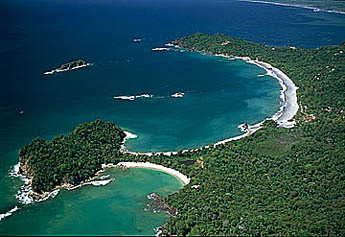 IFD: How did you first visit Quepos and what were your impressions of the place and the fishing? JS: I came to Quepos quite a bit later. After finishing high school where I spent most of my time in the boat on the weekends, I went off to LSU, which is Louisiana State University. Although my dad was super upset when he found out that I had started a small business and been fishing on the weekends, it did play in my favor eventually. He had been trying to start several small businesses and nothing he did ever worked. So after my first year in school, he asked my if I wanted to drop out of school and help him do something. We took out a loan and built a carwash in houston. These were the “dark years” because even though the business went really well, i didn’t get to fish!!! I did the carwash for 7 years before somebody came in and offered way more than we had in it and we sold it. I got married about halfway through the carwash years, and i had always promised my wife that as soon as we sold the business I would take her on a honeymoon. Well, the day after the sale, we were on a cruise ship for a couple of weeks, and then came with a friend to visit Quepos Costa Rica! Pretty much as soon as we showed up here, we decided there wasn’t much use in going back to Houston, so we went back just to get out things, put the house up for sale, and then we were here. 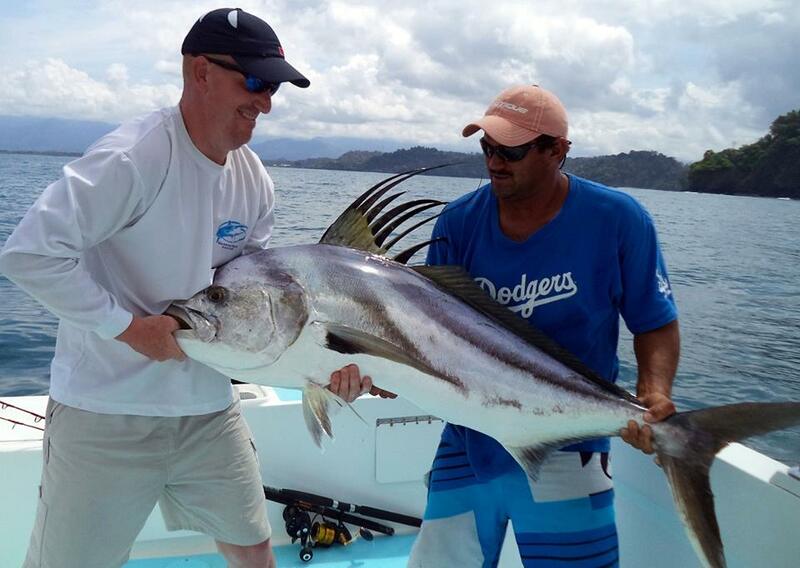 The friend I came here with had a 30 foot boat that he let me use, and that is how I started fishing here in Quepos. That was back in 2007. 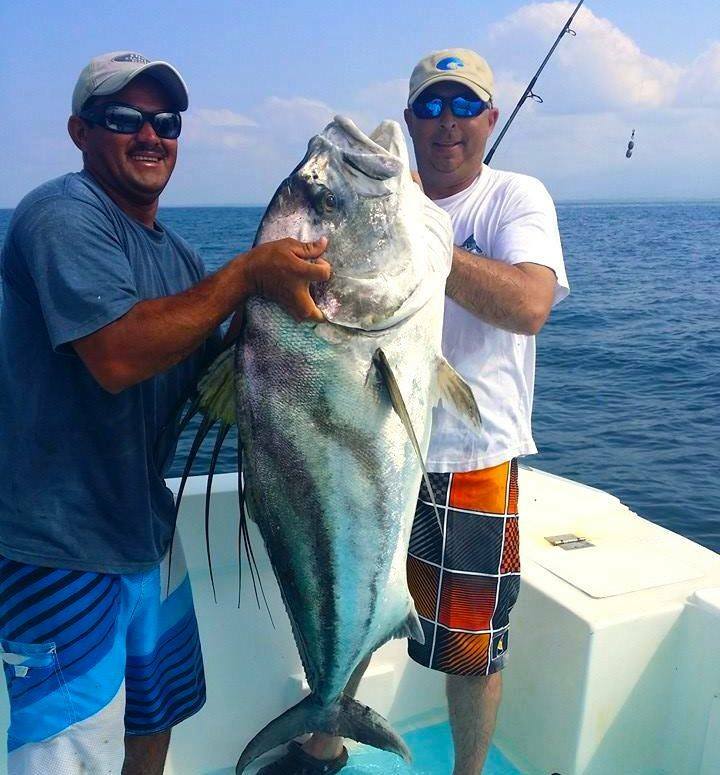 IFD: Can you tell us about the fishing offshore? JS: The fishing here is amazing offshore. In Louisiana in the Bayou, we were looking for fish that rarely weighed a pound, sometimes 4-5 pounds if it was a monster, but most of the stuff there was very small. I remember when we started fishing here, that I could drop down a small hook and catch more fish that were double the size of the fish in Louisiana, without even leaving the buoy and without starting the boat. 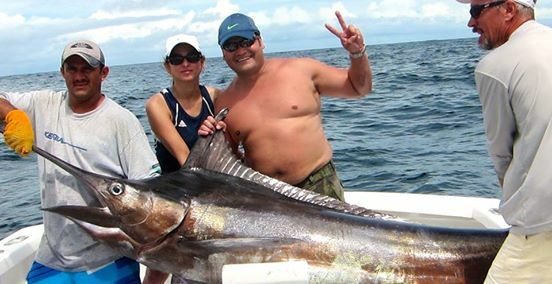 When we go offshore, we catch at least one fish over 100 pounds on 98 percent of the trips, and this year we had a day where we hooked up with 50 sailfish all over 100 pounds each (in one day!). 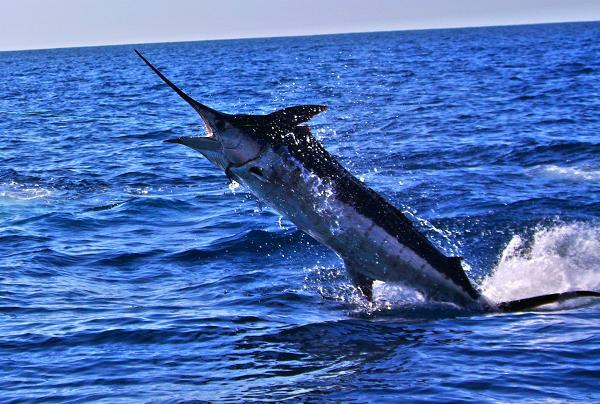 With marlin catch striped, blues and blacks, and the average sized marlin here is 300 pounds. 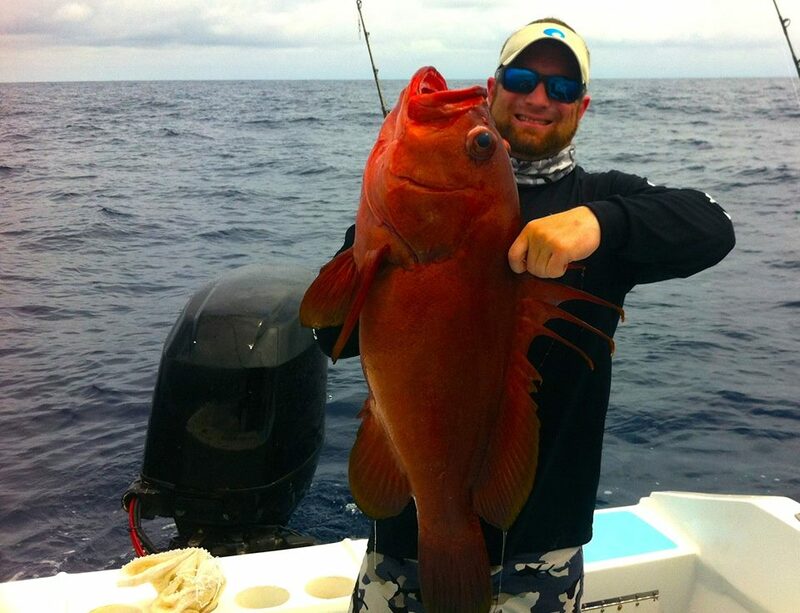 We rarely see them over 500 and we rarely see them under 200 pounds. 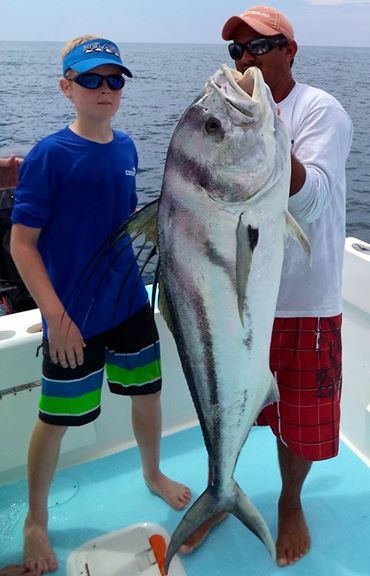 IFD: Whats the inshore fishing like especially for the roosterfish, how common are they what sizes do they go up to? JS: Inshore fishing 🙂 When I first started, we called the roosterfish the elusive roosterfish because we never caught them. They are super common here, but everything has to be set up just right. Once we figured out how to do it, we regularly catch quite a few, we actually hooked up 9 yesterday, all over 40 pounds. IFD: Whats the best time of year for a first time visit? JS: There really isn’t a best time to visit. There is a dry season where the water is like a swimming pool, and that runs from late November to April. 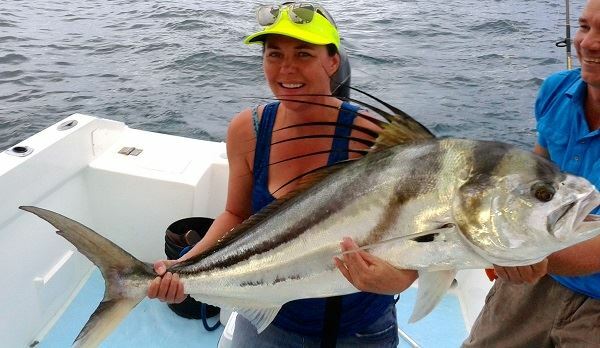 During those months, offshore we get huge runs of sailfish, and inshore we see big schools of sardines which allows us to not only catch roosterfish, but also snook and seabass. 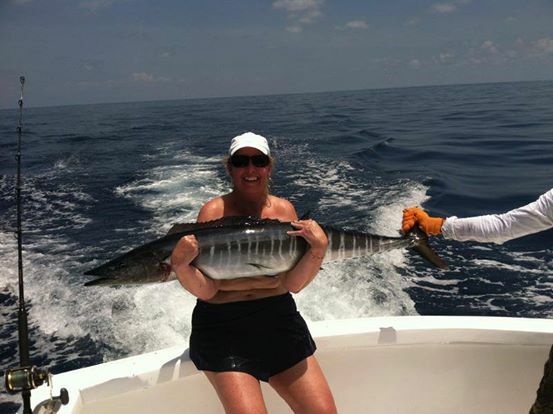 I would say the best time of the year for sailfish would be November to April, but during the other months we have more shot at seeing Wahoo, Yellow Fin Tuna, and Marlin. 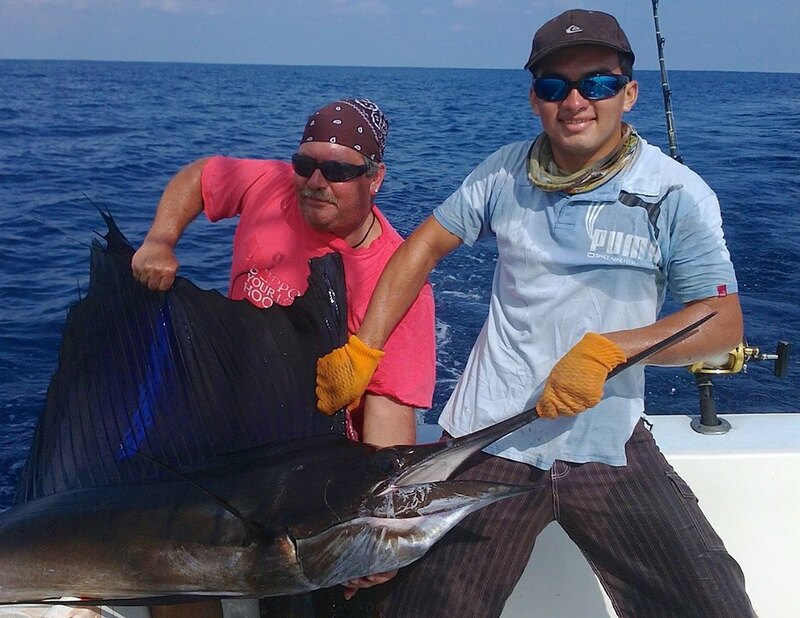 And even out of sailfish season we still see several sailfish every trip out. IFD: What have been your personal favourite catches over the years? 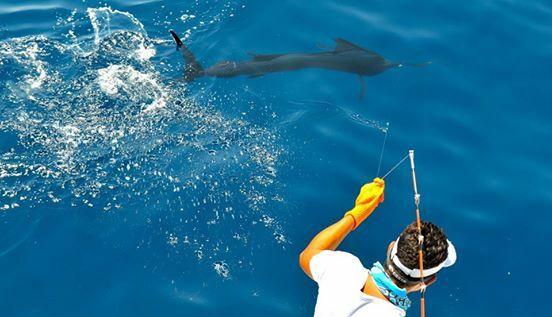 JS: Favorite catch would definitely be anytime we get to fish Marlin with live bait. When we live bait fish, we have to find something floating offshore, like a log or dead horse, and those things travel up from south america, and on their way up fish will lay eggs on them. By the time they get here, we can have several hectares of bait fish around them and for some reason, when the fish hatch on something floating, they stay with it. 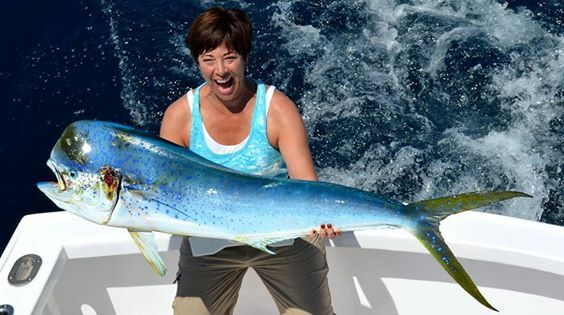 So there are times we’ll find a floating log and there will be millions of baitfish around them, and then outside the baitfish (which are usually some type of tuna) there will be the big Marlin. So what we do is drive over to the floating debris and grab some bait, and then we head outside the bait and drag troll slowly with 4 or 5 little tuna behind the boat, all with big hooks in their heads. 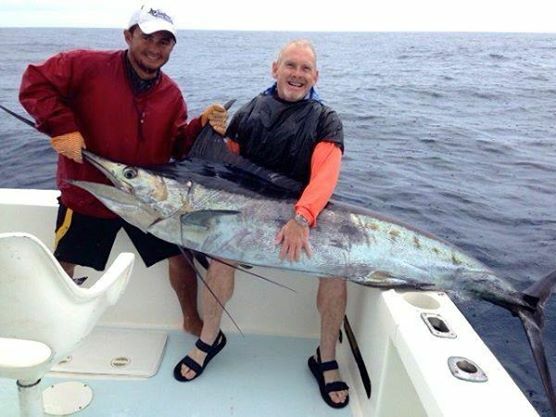 IFD: Is there any shore fishing around Quepos? JS: The shore fishing around Quepos is pretty good as well. There isn’t much from the beaches, but at the right time of the year if you get up next to the river mouths about 2 hours before low tide, there are usually snook and snapper that are headed out of the rivers that you can hook into. You usually have to get wet to do that, and there are also 3-4 meter crocodiles fishing the river mouths as well, so although the fishing can be really good, about once a year a local gets eaten! 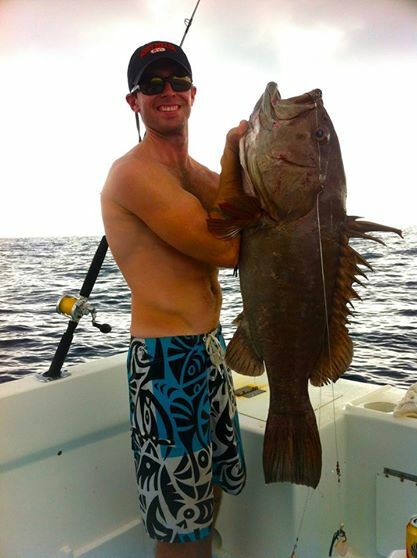 IFD: What have you been fishing for this week? 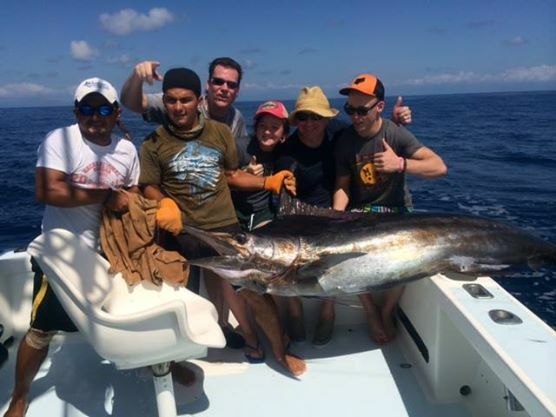 JS: This week we landed a few really nice marlin, averaged two sailfish per trip, and then there is a really hot mound down 500 feet about 18 miles from Quepos and we have been loading up on the big grouper and snapper. 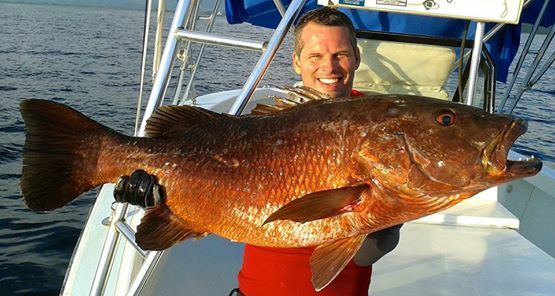 IFD: What would be your dream catch? JS: I think I’ve already caught my dream fish, I really like hooking up big Marlin, and at this point I’ve probably hooked up over 500 so that was a lot of fun! IFD: And finally John what are your plans for the remainder of 2014? JS: We are pretty booked up for this year. 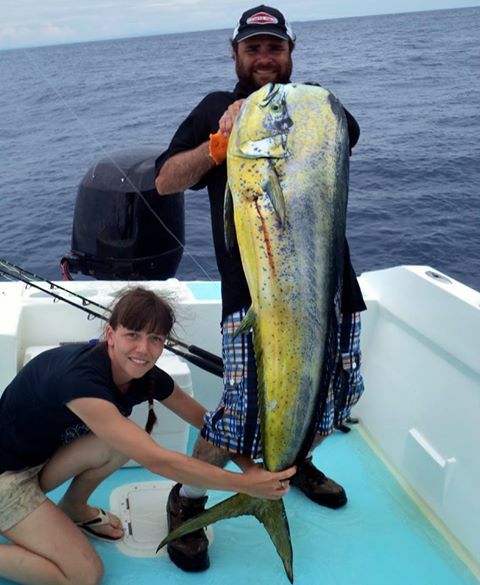 We did 850 charters between my three boats in 2013 and for 2014 I think we should do over 1000 trip (we are buying a 4th boat), so we are going to keep fishing!